After thinking about her comment a bit and having time to reflect on my career endeavors, I graciously and humbly embraced the description, not because I know everything about business. I am far from that. However, after 35 years of either being in business, advising businesses or counseling entrepreneurs who are starting businesses, I have done a lot and seen a lot which gives me confidence in my knowledge about what to do and what not to do in business. As far as the wise uncle trusted friend reference, that part describes me best. Starting a business or being a business owner in and of itself is a challenging task. In my work with entrepreneurs my approach is to provide you with substantive advice; that you can understand; delivered in a straightforward, personable style that allows you to walk away feeling confident and capable of doing what you want to do in your business. For most of my working life, I have been an entrepreneur. After a brief career with IBM, I co-founded Boyd-Ivey and Associates (later named Boyd-Ivey Marketing), a marketing and manufacturers’ representative firm serving the health and beauty aids industry. During its tenure, the company provided various marketing, sales, and distribution services to industry manufacturers, facilitating their growth during the “boom” years for the industry. The company was known for its innovation and creativity in developing marketing and distribution strategies for its clients and the industry. In 2014 I joined the 5 Step Business Start as the Director of Entrepreneur Development. 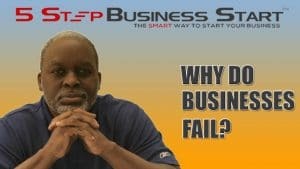 5 Step Business Start is a business planning system that helps business owners launch their businesses successfully. The system shows them what to do, when to do it and how to perform the fundamental tasks to start a business. The impetus for creating the system is a result of challenges faced by start-up business owners. There are two primary issues that cause people the most problems when getting started: the business plan and doing the wrong things first. The 5 Step Business Start provides a simple/easy to follow blueprint for developing a business plan and provides step-by-step instruction on what to do when to do it, and how. The system is great for existing businesses also. Because so many entrepreneurs start businesses by doing the wrong things first, I often refer existing businesses owners to the 5 Step to correct missteps that hinder their progress and growth. My knowledge and skills as a business consultant are enhanced by my role as Director of Entrepreneur Services at Entrepreneur Works. The non-profit organization provides capital and consulting services to entrepreneurs. I equip entrepreneurs with the skills to start a business, operate an existing business better or develop growth strategies for an existing business. Also, I am Entrepreneur in Residence at the Philadelphia Fashion Incubator at Macy’s where I advise new fashion designers on launching their businesses; and formerly business consultant for Pitch and Brew sessions held at Pipeline (a co-working space). In those sessions, entrepreneurs present their business challenges and I facilitate the process to provide them solutions. 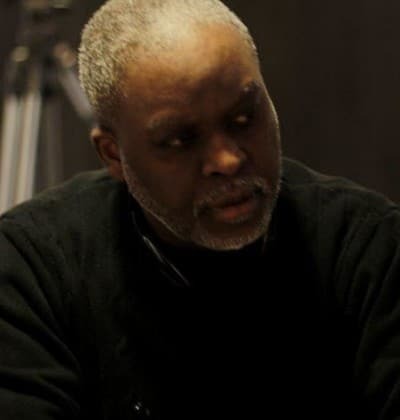 For fourteen years I served as founding chairman of the West Philadelphia Financial Services Institution (WPFSI), a community development loan fund and real estate development organization. I led the organization in the development and opening of its $55 million, 325,000 sq. ft. shopping center, Park West Town Center anchored by Lowe’s Home Improvement Center (the first to be located in an inner-city neighborhood) and Shop Rite supermarket. For ten years, I served as a member of the Board of Visitors at the Haub School of Business at Saint Joseph’s University in Philadelphia which covered the period encompassing the school achieving Association to Advance Collegiate Schools of Business (AACSB) accreditation. As a result of my experience in the health and beauty industry, I have developed a lecture series, “The Great Wealth Transfer” (debut at Xavier University New Orleans, LA) which chronicles the rise and fall of black-owned business in the industry. 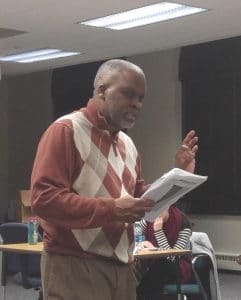 I have also served as a guest instructor and panelist at Xavier. During President Obama’s administration I answered the request of the White House Business Council to participate in Business Leader Briefings. I am a native of Macon, GA (along with Otis Redding, Little Richard, Almond Brothers, Norm Nixon) and a graduate of Eckerd College in St. Petersburg, FL where I earned a B.A. Degree in Management. I am married to Stephanie who is also a Maconite. Click here to contact Earl.